Global University Employability Ranking for 2018 features 15 of the top UK Universities. These are the universities that produce most employable graduates and are ranked by employers across the globe. Emerging the HR Consulting firm has designed the Global University Employability Ranking 2018. It is published exclusively by THE – Times Higher Education. The rankings list 250 universities across the world. Recruiters at top firms think them to be the best for preparing workplace ready students, as quoted by the Times Higher Education. 5 of the 15 top UK Universities are based in London. Rest of the 10 is spread across the nation. The first 2 rankings have been taken by the Cambridge and Oxford. Cambridge University is the only UK University in the top 10 global Graduate Employability Ranking. 2 Universities in Scotland have made it to the overall ranking. The University of Edinburgh is ranked at 71. Meanwhile, the University of St Andrews finds a place in the 150-200 bands. Graduates at the Cambridge University benefit from the fellow alumni network in globally influential positions. This is apart from its prestigious reputation. Several graduates of the University lead firms or become high profile cultural and political players. 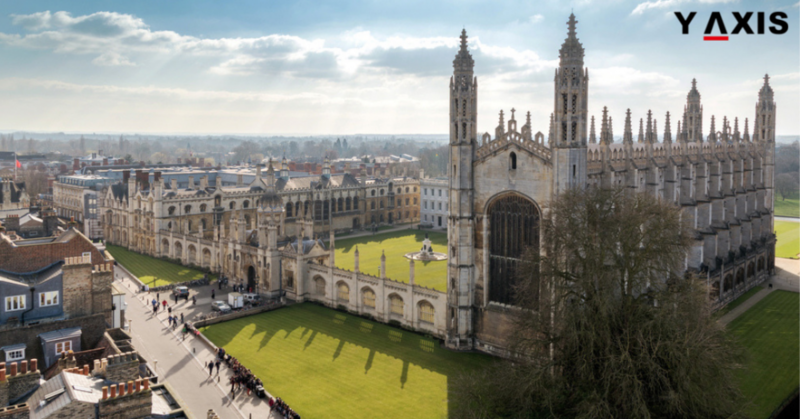 Cambridge University is renowned for its conventional tutelage system. In this students interact with their teachers in small groups. It is also launching innovative methods for teaching. Academics can obtain grants for funding creative projects that explore new methods of teaching. Y-Axis offers a wide range of Visa and Immigration products as well as services for aspiring overseas students including Student Visa Documentation, 3 course search with admissions, 5 course search with admissions, 8 course search with admissions, and Country Admissions Multi country. Y-Axis offers diverse products such as IELTS/PTE One to One 45 min and IELTS/PTE One to One 45 min package of 3 to help aspiring overseas students with the language tests. Check with few most Affordable Countries to Study Abroad, Affordable Universities, and Countries Offering Free Education to Indian & International Students. Are you aware of the top Canada Universities ranked by employers?